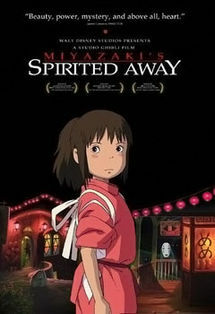 Do you know “Spirited Away” that directed by Hayao Miyazaki. The name of Kiyoshigekan appears on the end roll (ending credits) of this animation. 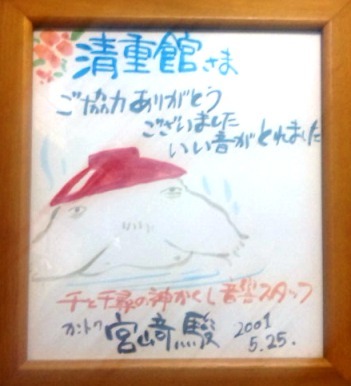 Hayao Miyazaki and his staffs needed the sound of onsen for this work. They say that the sound of onsen differs from the sound of water. In order to record the real sound of onsen, they came to Kusatsu. They have recorded the sound of onsen in our bath rooms. Specially they were able to get the good sound at the private open-air bath. Later, Director Miyazaki sent his autograph to us. You will look at his autograph at our lobby, when you visit us.